The first time I came across Joan’s blog, Foodalogue, was because of her Culinary Tour events. She chooses a country and invites her readers on a virtual tour of that country and its cuisine. Joan’s rules for her tour are very relaxed; one can make a traditional dish in a traditional way, OR modernize a traditional dish, OR utilize the ingredients and/or techniques of the country in your own way. The world tour will end this year visiting 7 new countries and Panama will be kicking things off. As a 100% Panameña (that’s Panamanian for non-Spanish speakers), I am required to participate and represent. Really, it’s in the constitution or something. 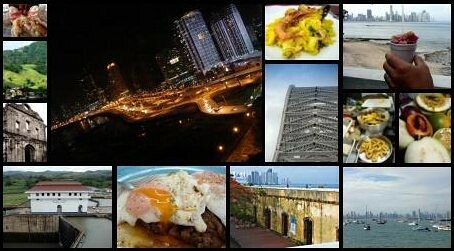 When most people think of Panama, they think of the Panama Canal and Noriega, so before we dive into the grub, let me share some so facts regarding my homeland. Our borders are the Caribbean Sea, the Pacific Ocean, Colombia and Costa Rica. 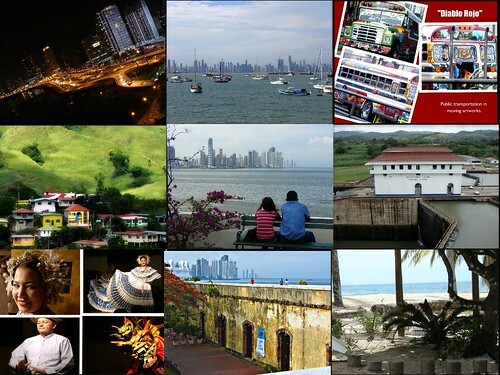 According to the 2010 country rankings by the World Economic Council of Global Competitiveness, Panama ranks 53 out of 139 countries and is expected to end up in the top 50 this year. As of 2010 it is the second most competitive economy in Latin America. Panama has the largest rainforest in the Western Hemisphere outside the Amazon. Basketball is big there and a number of well-known NBA players hail from the little country, including Rolando Blackman (four-time NBA All-Star) and Kevin Daley of the Harlem Globetrotters. Another big game, baseball. Rod Carew and Mariano Rivera both hit balls in Panama before hitting the big time. 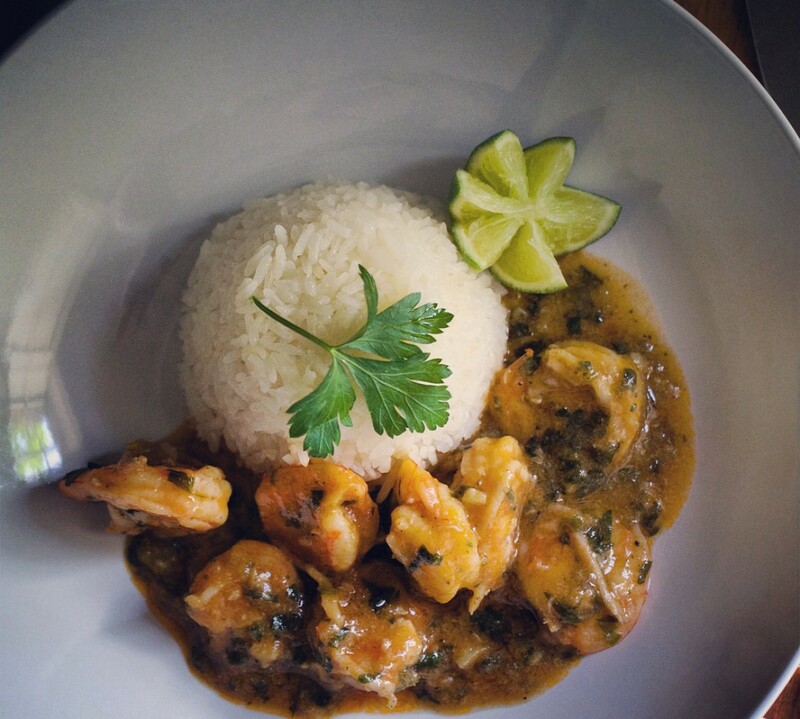 Panama’s cuisine is influenced by its diverse population of Hispanic, native Indian, European, African and even Chinese migrations. 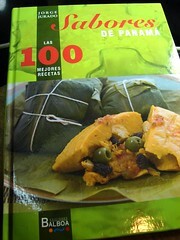 Unlike many of the neighboring countries, Panamanian food is not particularly spicy (heat). Yellow corn is often used for many of our dishes and fish, seafood and shellfish dishes are Panamanian specialties. For more detailed food info, check this link. 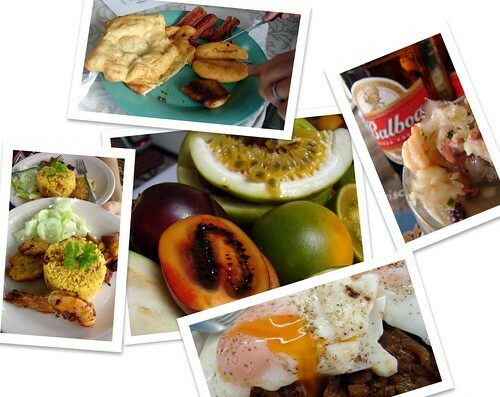 Anydoo, this past year I’ve shared many recipes and told you about foods from Panama and you can be assured that there are plenty more to come starting with 2 dishes I submitted for Joan’s tour. The first is a modern rendition using local ingredients, which could work as a beautiful appetizer, though The Hubbz and I scarfed it down as our entrée the other night. The second came as a result of one of our ‘What’s in the Bag‘ evenings. The Hubbz went to the store and brought everything but the butcher’s block, which I then had to incorporate into a meal. It is a pretty traditional dish, with a very tiny itsy bitsy twist. Ready? Here we go. For an appetizer: Langostinos en Caramelo de Maracuyá con Aire de Coco (Prawns in Passion Fruit Caramel and Coconut Foam). This was incredible with an exciting and complex flavor profile. 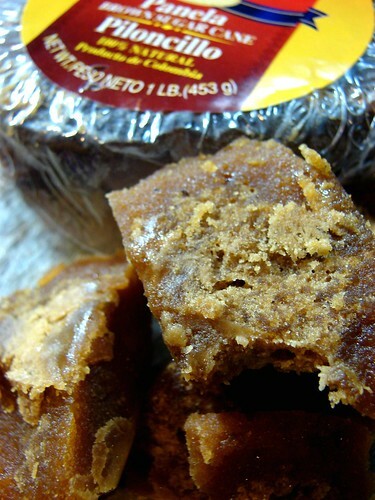 I followed a recipe from Jorge Jurado’s latest cookbook ‘Sabores de Panamá‘ (Flavors of Panama). 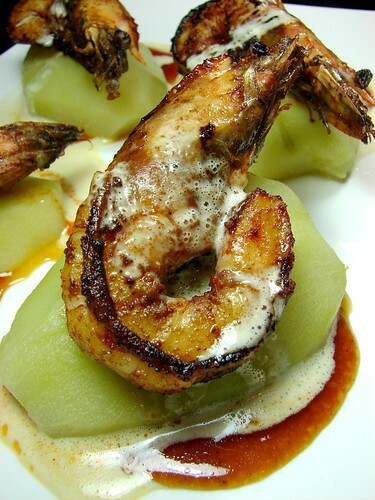 Jurado is a renown chef in Panama, who is at the forefront of a movement to elevate Panamanian dishes to haute cuisine. 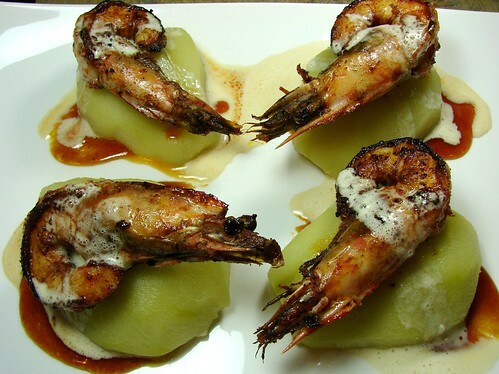 In this recipe, Jurado makes use of popular local flavors: shrimp, passion fruit, chayote squash, coconut and sugar cane and hypes them up with fish sauce and smoked paprika. The final dish is assembled a layer at a time and topped with coconut foam–which I wasn’t able to accomplish, but still ended up with an insanely delicious sauce that tasted of the sea and tropical fruits. That sauce alone would make a dish unforgettable. This dish wasn’t complicated to put together, but it does have a lot of steps. Because I usually offer step-by-step photo instructions for my dishes, I’ll limit this post to a review and description then direct you here for the how-to. Guacho (pronounced WAH-cho) is a sort of risotto that is topped with a flavorful sofrito. 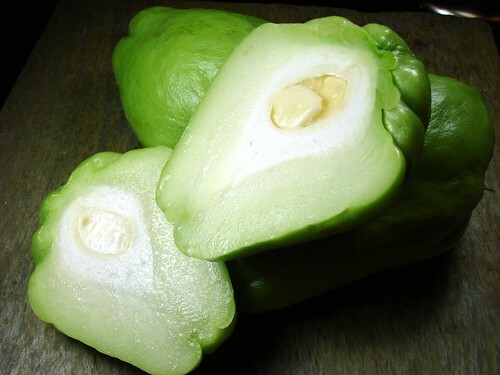 The primary, always present, ingredients in any guacho are rice and the sofrito that crowns it. Secondary and tertiary ingredients would include an assortment of any of these: various beans, pork, chicken, cured pig’s tails, seafood, and roots such as yuca and otoe. Panamanian sofrito is generally made with onions, bell peppers, tomatoes, garlic and a few other aromatics, but this time, I added a puree made from dried chile ancho and guajillos. Also, mushrooms are not traditionally added to this dish. For the guacho, I made a seafood broth with the shrimp skins and used it as cooking liquid for the rice which cooks until swollen plump. 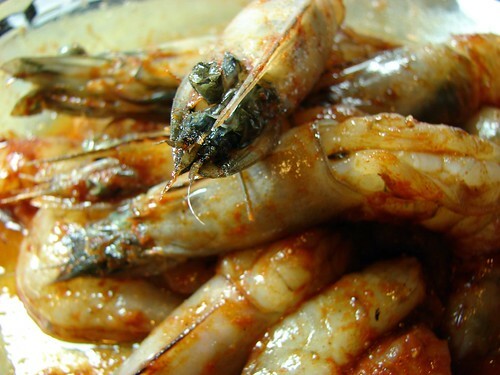 The seafood is added just at the end to prevent overcooking. Let me tell you, this is seafood heaven. 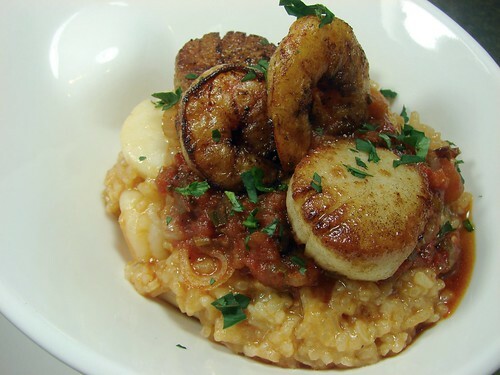 The rice is laden with seafood and bacon flavors and is complimented by the sweetness of the shrimp and scallops. 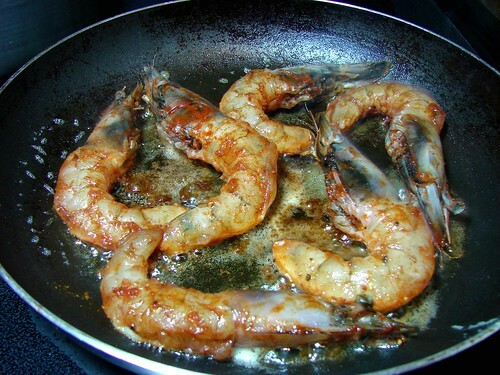 To add some textural interest, I pan-fried a few of the shrimp & scallops to top each serving. You can check out this post for the step by step recipe. There you have it! Panamá en tu plato (Panama on your plate). Next stop… ALASKA!